Fractional Economics is an economic model that integrates Fractional Commerce and Trade mechanics with Subliminal Organic Advertising and Price Demand to directly tie the value of productivity in goods and services, to drive economic growth, unlike most modern economies that adopt credit and debt through the inflation of prices. Fractional Economics is the counter-opposite of how Credit Creation operates in an economy - Credit Creation increases the money supply without any true accountability to being productive when loaning it out. Booms and busts that are based on the amount of credit released into circulation within economies at any one time where risk control is based on an interest rates to steady the flow - that method of creating debt purely on the basis that someone needs credit to operate in the boom and bust business cycle was able to be used when there was less connectivity and a slower world between economies. Modern Banking still use a long and elastic method of adjusting growth by trying to maintain inflation of prices to add value into economies while the interest charged for loans and credit is deducted from the same economies - the belief that inflation is needed for growth is a sleight of hand as the price increases viewed as the effects of inflation and provides the illusion of greater wealth is really only replacing the costs of interest and lack of wage increases, resulting in the lower buying power - this long armed approach has now reached its limit in the connectivity in modern economies. Now connectivity is instant and using interest rates that start with central banks and flow all the way to the local banks, where people trying to maintain a standard of living need to take on loans and debt plus interest, this method is fast becoming pitted with flaws and too challenging for people to keep up - in each developed society under this method only those with better circumstances, better incomes, born into more privileged communities, and baring incidents, is it possible to ride on this method of distribution. - it means it can only operate with the capital validated to operate in the ecosystem and not multiples of like in Fractional Reserve Banking. - Fractional Economics and Commerce doesn't need inflation to add growth as the free distribution of digital capital eliminates the costs associated with interest charged for credit, nor is there any deflation as the true productivity in the selling of products and services governs the release of FDC - purely based on the needs of the people. 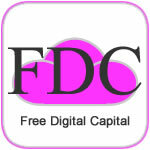 - the use of FDC as free working capital for Outsourced Selling of products and services increases buying power by helping to reduce the Buying Prices of products and services. Fractional Economics multiples the buying power for the buyer and not the debt, it can be summarized as a correction that reduces the debt created from the credit released from banks, which has been loaded onto individuals, businesses and governments. - the dynamics of Fractional Economics and Commerce increases the buying power for the buyer to operate by helping to reduce debt by not needing to borrow - the distribution of FDC starts with a process where it's used in strategies in Outsourced Selling. A simple example, if a buyer wanted to buy food that was priced at $100 they could either pay cash or use a credit card, now what if that food was offered as low as $20 using Fractional Commerce - which would the buyer select? - the $80 difference is saved by the buyer by not needing to reduce the amount of cash from their pocket or added to the debt on the credit card, this simply means that the buyer's personal debt is being reduced faster. Everyone the world over has an instinct to buy at the lowest price, it's a universal animal instinct that humans have. The Fractional Economics model also uses the individual ( person ) as the principle common denominator in which all activity evolves around, rather than using the mass majority ( people ) that most economic models operate with. - while the free market mechanics perpetually drives competition in Fractional Commerce by providing the buyers with buying prices at a fraction of the selling prices. - by validating the neutral trading currency with existing fiat currencies it doesn't increase the volume of money in the real world, what it does is it shifts the value to a parallel economy operating within the 'D.O.M.E. ', where the same value is able to increase its velocity by having a better buying power within that same local economy. This neutral trading currency is not held by the platform, only the Ownership is held to track as it's exchanged between buyers and sellers - the value of the trading currency is recorded down to 14 decimal point, so micro transactions can be made. Fractional Economics solves the issue that causes the busts in the Real Business Cycle when major discounting reduces profits all along the Supply Chain, the random use of discounting in the 'supply' side changes the balance in the supply and demand and creates a vacuum of loses that increases until there is a recession or major lack of demand, the bigger the loss the bigger the recession. The change of how markets will work, comes with the change in how influence and value cross borders to stimulate local economies by the actions of local Sellers using free Direct Foreign Digital Capital Investment - Cloudfunding does the rest. The question is - Where does the value between the full price and the discounted price go? Although the Fractional Economic model doesn't create inflation or deflation per se, as other models do by being effected from seller's increasing prices, wage rise demands, currency rates and such, Fractional Economics does need to use a micro incremental rise with the seller's full prices that's set in the Global Price Index to combat the randomness of price rises in each of the individual countries. The new competitiveness of the markets come from suppliers using other suppliers that use Outsourced Selling to lower the Buying Prices they offer, meaning that the Selling Prices can reduce as it becomes more profitable by gaining better Buying Prices. Recessions and imbalances in markets have been man-made, either by central banks adjusting interest rates either too late or too early, then there is the credit controllers who can release too much credit or deny credit based on risk analysis. All this type of control was good for the Industrial Age in the 20th Century when everything needed to speed up the economies but now it's a New World and it needs a Scalable Global Economy. This central thinking has become a boys-club, that's out of step with the combining of real time events and the technological ability that the Digital Era has developed into. Even using credit scores on individuals and businesses is so antiquated that it's a dangerous practice for societies to have to be under such a control, it's a relic from the Old Economy. Fractional Economics operates inside the overall Domestic Open Market Economy - the 'D.O.M.E. ', a fully digitized operating platform that sits autonomous to outside influences, unlike the way the much touted Free Market Economy that's easily prone to being manipulated and distorted by subsidies. Most economic models operate in the time period after the event in commerce, meaning that the actions are more to do with collecting tax after the exchange of goods for payment has been made and then recycling some of that revenue back into the action as incentives such as rebates and subsidies - adding incentives using revenue that was just gained. Fractional Economics occurs in the time period prior and during the commerce exchange between the seller and the buyer, it separates the seller prior to finding the eventual buyer by first outsourcing the selling of an item to the Crowd, which is incentivized with low buying prices while operating as virtual wholesalers, these Crowd players can earn profits like any business for acting as the temporary owners before the process finds the local buyers on the Open Market - selling to the crowd applies economies of scale compared to a seller trying to find a single buyer willing to pay at their full asking price as in typical selling. This sell high and buy low pricing structure between the two parties changes the traditional dynamics of supply and demand that has always demanded equal payment for equal supply in the exchange between the two parties involved, being the seller and the buyer. With most economies built around having a third party geared to offering financial assistance with credit for the buyer to buy now and pay later, the Platform disrupts this predatory process and offers a complete new economic model that reduces or even replaces the need for credit by giving the buyer a much lower buying price that avoids debt. The focus with Fractional Commerce is to get sellers to receive their full 100% selling prices but the buyer pays a fraction of that as low as 20% of those full seller prices, this is where the Cloud is used to provide the platform where the Global Crowd joins in on a global scale to participate in the commercial activity that pays the full seller's price prior to finding the eventual buyer. - a series of algorithms are used to collect and isolate in proximity to the seller so that liquidation of the value can be made by the seller. The Global Inventory Value stored in the Cloud contains a large neutral inventory of seller's products and services that are in a constant state of flux with Ownership and values constantly moving between sellers, buyers and users, this inventory is basically being sold for the sellers before finding a seller's local buyer. The size of the Global Inventory Value in the Cloud is limited by the full production of sellable products and services in the world including all existing products that can be evaluated to resell. see how the global players interact, Global Cloud Productivity! Finding the eventual buyer after the sell has been paid for is much easier when the incentive is the low buying prices as low as 20%, the price will vary under the 20% depending on the Competitive bidding during the process. The difference between the eventual low buyers price and the seller's full list price is collected from the Cloudfunds using a protected set of algorithms that doesn't hinder the users. Each bidding process is conducted using UDC as the trading currency that all users use to compare value with any global fiat currency they want. UDC is the conduit between Offline and Online that helps instigate and ignite the commerce inside the digital economy and is only generated once a validation process is completed by an open bidding process that votes on a global scale for a product or service to be accepted into the Global Inventory Value by a Global consensus! - for a seller to fully complete the sell they need to liquidate / exchange the UDC with the local fiat currency of the country using Pay It Forward which completes the validation of equal value between UDC and that fiat currency. Pay It Forward helps complete seller sales! Fractional Commerce uses technology to bridge that gap between the affordable and the unaffordable prices without hindering the buyer or seller, in fact it can only make life better - it divides the buying price and so multiplying the buying power, all while maintaining full prices for sellers. To drive the values used in Fractional Commerce, it targets the slices normally associated with commerce that are deducted off the selling price profits, typically payment fees and especially advertising, a $500 billion plus per year industry. - this is where Cloud Commerce stands alone, it's neither Social nor Informational, it fits between the two!. By eliminating paying for advertising and restructuring how agents work on the Platform it avoids the increasing problem of bot traffic creating fake clicks with existing marketing methods. It's these known costs that Fractional Commerce taps into by eliminating the costs before it's spent and redirects a seller to add their inventory in a secure collective floating inventory value system, which is ultimately held and controlled by the global sellers. It's made simple for any seller to select what stock they want to sell, take an image, then add it to the GIV along with the full price and the sale will happen automatically with the seller's local buyers - there's no big data scooping of the seller or of the buyers or are they exposed to each other, there's no data collected by the Platform that can be used to track the privacy and habits of buyers and sellers for third parties to mine. - secured by applying functions that ensure no value can be removed from the floating inventory value without there being something of equal value to exchange. Normally in any commerce the seller and the buyer are joined as a one to one connection but Fractional Commerce applies an extra and powerful layer between to separate the seller and the buyer - this layer is the technology that collects the full selling price of any listed product and service around the world, locking in the value against real fiat currency value, it's capable of completing the sell even before there is a final buyer. - by separating the seller and buyer and collecting the full selling price to complete the sell, independent to the eventual buyer, there's a multiplied demand without using the typical discounting methods a seller normally uses, which can only lose profits and cause economies to be unproductive. The architecture of Fractional Economics was not possible a decade ago - now by capturing the commercial activity digitally in real time and generating multiple economic benefits using advanced dynamics within an overall autonomous Domestic Open Market Economy - this is the paradigm shift in how commerce will change economies in the future. The Domestic Open Market Economy with Fractional Economics and Fractional Commerce operating within, differs from the economic theories of Adam Smith, Hayek and Keynes because it's structured with totally different sets of circumstances and tools that could not have been imagined in earlier times, to achieve open and fair markets in modern times there must be economic models taking into account the technical advances that have been introduced, and adapt new thinking that finds ways to level the playing fields! Fractional Economics can control the rate of price increases that can in turn provide better control over GDP, all while reducing the risk of inflation because it operates in real time, and, at the same time provide full taxation revenue for governments, by only discounting the buying price and not the normally taxable selling prices. - Fractional Commerce doesn't interfere with taxation revenues, in fact Fractional Commerce is probably the best way to get maximum tax revenues without it hurting the economy's participants. The lower buying prices raise the demand and so in turn places pressure for more supply, which is fully compensated with full selling prices incentivized by the sheer scale of the Global Cloud Productivity mechanics built into Fractional Commerce. Although GDP ( Gross Domestic Product ) is the preferred measuring guide used by governments, even though any data is months behind the true and current activity, its use is more to do with how a country as a whole is progressing, this is usually expected to come from gaining some type of added value from the increased prices that are expected to flow back into the communities to give everyone a 'good feeling' that there's improvement in the living conditions. Real estate is a typical instrument and a guide used for GDP, by having real estate increase in price makes the population and especially the owner feel good to be making the extra paper value, the problem that arises is that all other prices 'drift' upwards to counter the increase in real estate, usually this is where the perfect storm normally sits and waits for the real estate prices to get too far in front of reality. Using GDP only points to the leading growth indicators and not to the lost growth, which is continually absorbed by an increasing number in the population. Most countries use GDP to structure policies to help validate spending money within their populace, even though the data can be months in arrear from the true economical climate, Fractional Economics provides the way for individuals and businesses to operate within those policies but be positioned in the current activity in real time. - in simple terms it allows the bank to retain a small amount of around $10 and then loans out the balance in return for interest, each time a bank receives those loans as deposits the bank repeats the process again by retaining a fraction of a deposit - this multiplication of credit is thought to be the answer to adding stimulation and growth into economies. Note: Fractional Reserve Banking is only one way money is feed into an economy, another major way is to simply create credit out of thin air to loan money out to a borrower, with a debit added to a ledger, and having some type of collateral as a security that usually has nothing to do with productive value. Although this method of multiplying money is extensively used in modern banking around the world the effects by not truly connecting this credit to a tangible or reliable value can multiply the dislocation between actual value and fictional value that begins to build, because the new multiplied value is not specifically tied fully to true productive value in the economy it's really a forwarding credit on future productivity that may not eventuate, it can effect all the long-tail participants with an increase in the cost of living - a place in time where the world is now!. The effect of this fictional value is what the world is now facing, there is a global debt of over 700 trillion US Dollars, which is many times more than the estimated value of the world's assets - this debt is the credit generated by the banking industry known a derivatives, which are traded between banks in the hope of hedging themselves against any loses. The GFC came about by the use of these types of derivatives linked to the real estate property whereas the current debt is of a much bigger play where financial institutions sell to each other a future debt that they hope will never be called on to pay out. An example can be when new money is made available in a hot property market - good while prices go up but not going down, the debt is still part of the economy's money value and must still be accounted for in booms and after busts. Hence the elastic economies that continually springs forwards and backwards past the real time commercial activity! Multiplying money is merely a fictional way of issuing or pushing value into the economies under the disguise of helping to grow the economy but really it's a simple business model hoping that it's returned to the bank, along with interest. The multiplication effect of this fictional value of credit is now seen by many as part of the cause of the two distinct separate values operating in economies today, the cost of products and services and the diluted buying power of that extra money floating around in the economies that's not tied to anything tangible or of value. Under this disguise it has provided the gateway for money earned through genuine productivity to be diluted down in value and channeled out of circulation away from the populace via such banking tools, services and mechanisms into the hands and control of the fewer numbers in our societies - a weakness in capitalism that can be associated with forcing booms and busts. - what Fractional Commerce does when processing a sell is it collects the true full list price value of the listed inventory in UDC at the comparable value in fiat currency, it's then isolates in escrow temporarily while completing the sell side of the action, this then allows the low buying price to be directed at the targeted local buyers of the seller as the incentive to purchase, the completion of the buy is when the exchange is made between the seller and the buyer, all without hindering any buyers or sellers. By dividing ( fractionalizing ) the buying price it doesn't effect the seller's full list price at all, as the full 100% list price is collected independent to the original production costs or to the eventual buyer's payment. Fractional Commerce multiplies the buying power without creating extra money or credit - it stimulates an economy by increasing the velocity of money flowing around an economy, instead of handing out more fictional money on credit. Fractional Commerce is not associated with the banking industry other than using fiat money as a means of a real-time comparable evaluation and exchange, it operates autonomously on the Platform where sellers and buyers can exponentially drive growth in their own local economies without the interference from or to the banking model. - Fractional Commerce reverse engineers the traditional offshore outsourcing model to give domestic manufacturing a more than Competitive edge in controlling prices by giving local buyers all along the supply chain the low ( 20% ) buying prices while the domestic sellers, from manufactures to retailers, receive their full selling prices. The flowing dynamics that Fractional Commerce provides sellers and buyer in the exchange of product for value is exponential and ubiquitous, and it's highlighted by the ease in which security is maintained all the way through to the final handover in any commercial activity. Fractional Commerce applies new dynamics to the process of selling by making more happen during the time a product is available to sell and when a buyer pays. it ‘keep the ball in the air’ longer by changing the dynamics of a sell! all this action happens before the ball lands in the hands of a local buyer in the crowd!